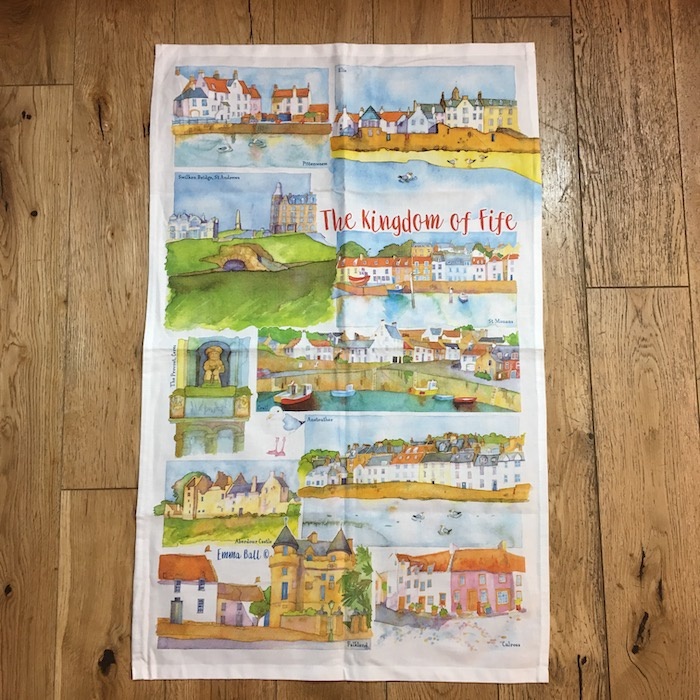 This cotton tea towel by Emma Ball features pictures of villages, bridges and castles in Fife. Size: 70cm x 45cm wide. Machine washable.